← Cut it Up – Stuck on You! DCD #222 – Anything Goes! 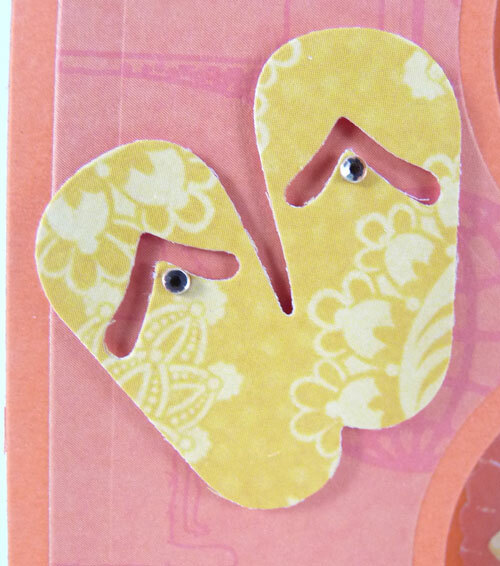 Our challenge theme this week at Die Cuttin’ Divas is Anything Goes! You’d think that Anything Goes would be an easy challenge, right? Not for me. It’s like going into Baskin Robbins 31 flavors and trying to pick just one. If it were a choice between chocolate and vanilla, I could make a decision in a split second, but 31 flavors to choose from? That’s what Anything Goes challenges are like for me. I get bogged down by too many possibilities. Inspiration finally struck when my Cut it Up DT sister, Peggie Sue, sent me a couple Quickutz dies recently. Of course I had to try out each of them and decided to use two of them on a card. This is the Apron die and the Sandals die. 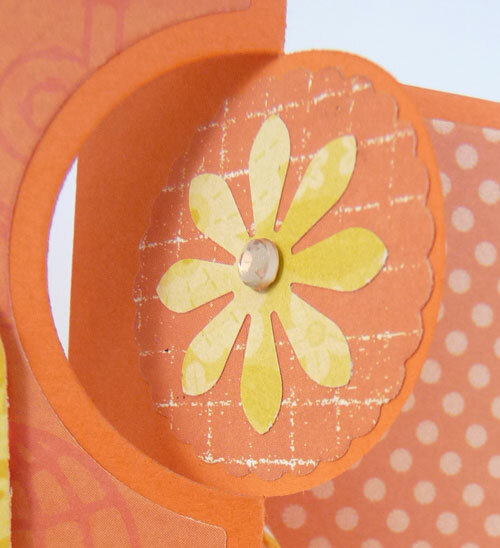 I also used the Sizzix Flip Its Triple Circle die set because I haven’t used it in awhile and it got lonely. 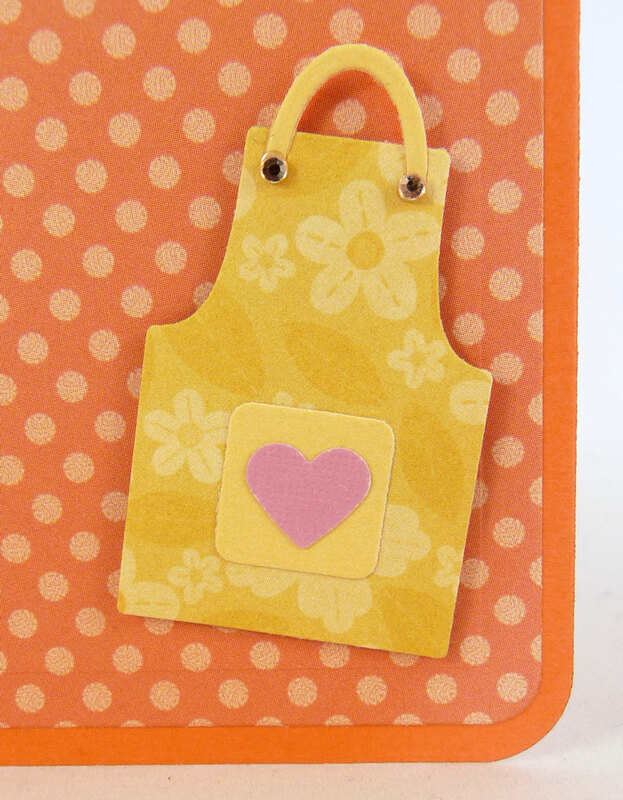 The little flowers are a punch, as is the tiny heart on the apron. 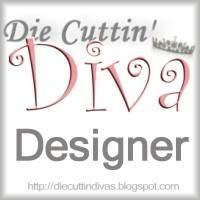 Anyway – Anything Goes at Die Cuttin’ Divas this week, so the sky’s the limit. The challenge begins June 30th and ends: July 5th. The sponsor is Pretty Cute Stamps and the prize is a $15 gift certificate! I expect to see your project over there!! 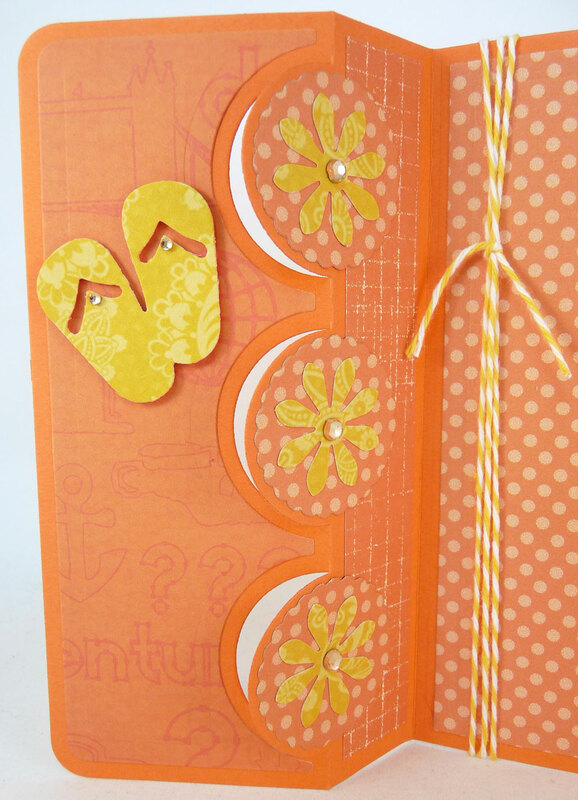 This entry was posted in Paper Crafting and tagged card, Die Cuttin' Divas Design Team, Quickutz dies, summer. Bookmark the permalink. 9 Responses to DCD #222 – Anything Goes! What a gorgeous card!! Love the pretty color and papers you used!!! And what a great idea for the twine spools!!! TFS!!!! Have a great day. Love the colors on this card. Very right for summer. Evelyn, your card is so pretty. I love the colors and I love anything with flip flops! That twine rack your husband made for you is awesome! 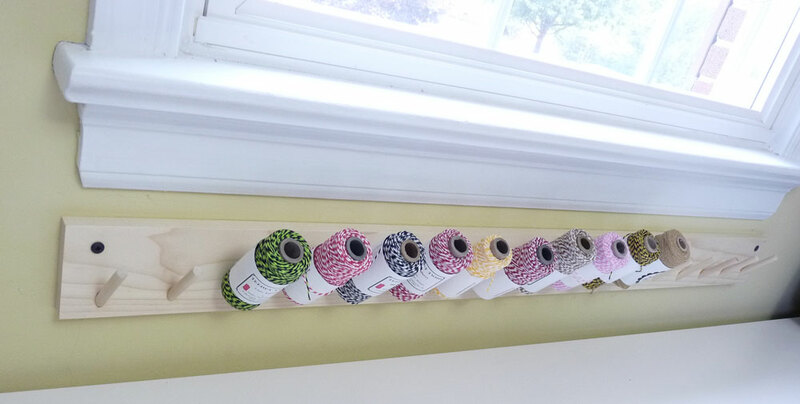 Every craft room should have one of those. A very Pretty card! !Love the fun color combo & pretty twine! Your husband is Awesome!! I love the fun twine rack!! What a summery card! I love the design and the cuts and papers you’ve added are awesome! Thanks so much for sharing! Gorgeous card and love the colour scheme. What an awesome twine holder. What colors are you getting to add to your collection…can’t have any empty spaces for long!